Got old baseballs? Turn them into this functional baseball shelf! Teenagers have the tendency to be very specific with what they want inside their rooms. I have one friend who has two teenagers – a girl and a boy. The girl wanted a floral-themed bedroom; the boy wanted to showcase his love for baseball. And so in the spirit of helping, I showed her this project. Your kid will surely appreciate this thoughtful DIY project. 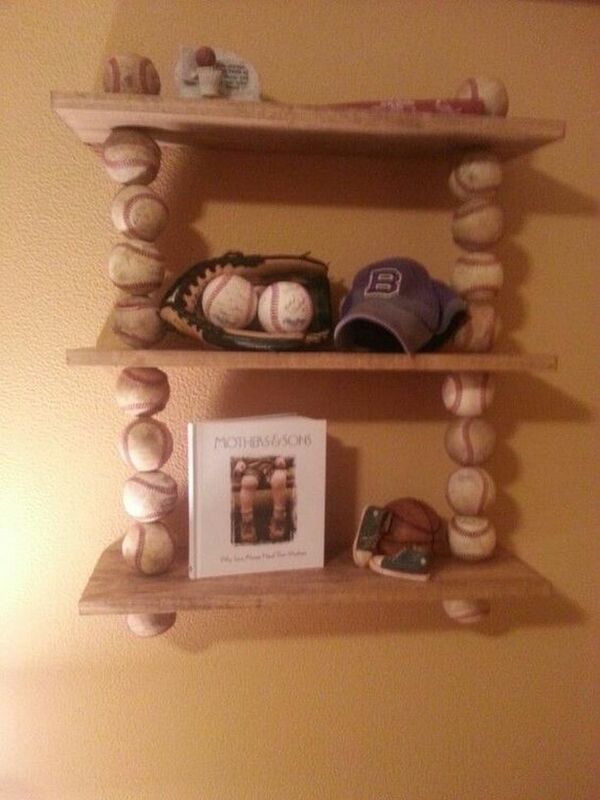 This do-it-yourself baseball shelf is perfect for what her son wanted. She could either hang it on the wall or just prop it on the floor. Plus, it’s so easy to do she even asked her son to help out with the project. I must say he enjoyed it, too. If you have old baseballs lying around, give them a new lease on life and turn them into a baseball shelf. It’s unique and one-of-a-kind – it would make for one interesting conversational piece.